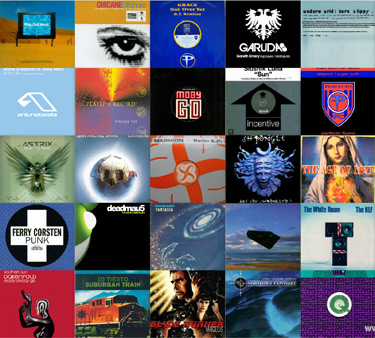 Trance as a genre is now little bit more than 20 years old. Recently, Finnish DJ and producer Orkidea (whose career spans over 20 years) noticed that the history of trance isn't that well documented and decided to contribute a little by creating a Facebook timeline showing the evolution of the genre. The timeline starts all the way from "prehistoric" times of Kraftwerk, Jean-Michel Jarre, Giorgio Moroder and Vangelis and explores the proto-trance sound of the likes of KLF, Dance 2 Trance, Age Of Love and Oliver Lieb around 1988-1991. During the ‘90s, covered are the golden German years of 1992-1994 when Eye Q Records, MFS, Harthouse and Superstition showed the way. Platipus and Bonzai classics obviously also have their well-earned place on the timeline. Later on equally well represented are the British more progressive sound of Sasha, Digweed, Oakenfold, Renaissance and Global Underground as well as the Dutch 1999 trance revolution or Armin, Ferry and Tiesto. When moving to the 21st century labels like Anjunabeats, Armada, AVA, Black Hole and producers like Solarstone, Gareth Emery and J00F are well represented alongside many smaller names. During the recent years Orkidea pushes the envelope of "what is trance?" by choosing also more progressive and techy sound of Eric Prydz, Guy J, Henry Saiz and Oxia which to him represent the original feeling of trance even if not labeled as such. There is already lively community in the Facebook page who are liking, sharing and commenting the tracks with their personal stories related with those classics. Time travel through the history of trance and a dive deep into the evolution of that sound by checking out this amazing contribution to this genre’s documentation. As Orkidea puts it: "It's good to know the history to be inspired for creating a better future."